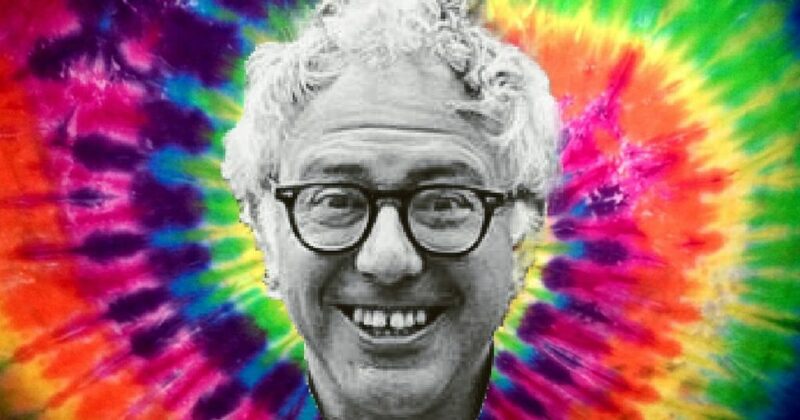 According to the book “We are as Gods” by Kate Daloz, Senator Bernie Sanders was once asked to leave a hippie commune due to laziness. The book chronicles the rise and fall of Myrtle Farm, a commune in northeastern Vermont. Daloz, a writer from Brooklyn, was in a unique position to write about the history of Myrtle Hill because she was raised near the commune in a geodesic dome residence with an outhouse called the Richard M. Nixon Memorial Hall. Her parents were close to the residents of the commune, who offered them tips on wilderness living. In the summer of 1971, the future senator of Vermont came to visit the commune at Myrtle Farm. At the time, Sanders was 30 years old and on the brink of his political career with the socialist Liberty Union Party. Sanders came to the farm while researching an article on natural childbirth for the Liberty Union Party’s organ, “Movement.” Interest in alternative medicine was strong among members of the counterculture as part of their wider suspicion of modern science, which was associated with the sterility of hospitals and the destruction of war. “Many elements of Western medicine came under suspicion during this period, but none more so than modern obstetrics,” Deloz said. In Sanders’ article, previously digitized by Mother Jones, he was a critic of old methods of childrearing in which, “infants were bottle fed on assembly line schedules designed by assembly line doctors in order to prepare them for assembly line society.” Bernie believed that natural childbirth was a step toward a more authentic society. All of life is one and if we want to know, for example, how our nation can napalm children in Vietnam—AND NOT CARE—it is necessary to go well beyond ‘politics,’” he wrote. The future senator’s opening remarks were followed by a Q&A between him and a friend, Loraine (spelled “Lorraine” in the article), who had recently given birth to a baby, Rahula (spelled “Rahoula” in the article), on the Myrtle Hill commune. This group included “the couple of men who were potentially the baby’s father,” wrote Deloz. After Rahula was delivered at dawn, “someone ran out into the field and blew a long blast on a hunting horn.” Loraine then ate her afterbirth, a detail that does not appear in the book, but that appeared in the second part of Sanders’ essay. When Sanders wasn’t reporting on the wonders of childbirth, he spent his time at Myrtle Hill in “endless political discussion,” according to Deloz. Sanders was eventually kicked out of the commune. “When Bernie had stayed for Myrtle’s allotted three days, Craig politely requested that he move on,” Daloz writes. Because Jed had set up his operation on Myrtle Hill’s land, a guilty verdict could have jeopardized the entire commune—a hard lesson about liability and private property ownership for the commune’s remaining residents. While Jed was found guilty, the other residents managed to beat the rap and save the farm from being taken by the government. They broke the land into individually-owned parcels shortly afterward, bringing the Myrtle Hill experiment to a close. 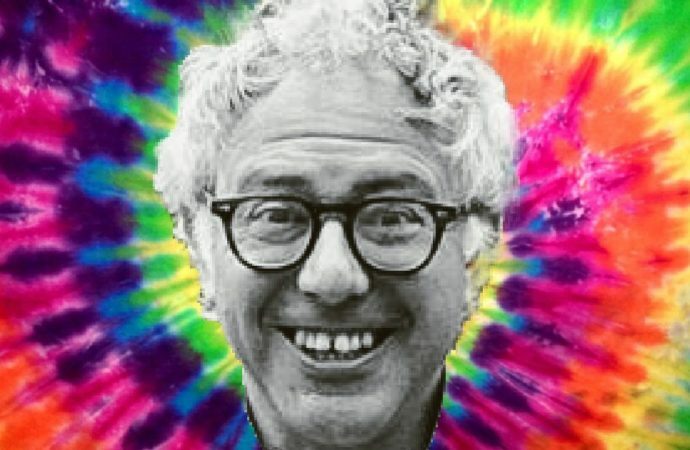 There is no evidence Sanders took part in the later activities of the commune, and it is unclear if he returned to the commune again after his 1971 junket. The book’s promotional materials mention that Sanders “was a frequent visitor to Myrtle Hill,” but the book only mentions the 1971 visit. S.885 Introduced 5/7/13. A bill to designate the facility of the United States Postal Service located at 35 Park Street in Danville, Vermont, as the “Thaddeus Stevens Post Office” became law in November 2014. H.R.5245 Introduced 4/27/06. To designate the facility of the United States Postal Service located at 1 Marble Street in Fair Haven, Vermont, as the “Matthew Lyon Post Office Building” became law in August 2006. It won’t be surprising if President Trump starts calling him “Lazy Bernie” soon enough after calling him “Crazy Bernie” on Twitter Wednesday in a comment about Sanders entering the presidential race.